I was in a market in Malaysia once, looking at a display of 'Rolex' watches. The salesman asked me, 'You want to buy Rolex? Genuine fake'! 'What is the difference between a genuine fake and a fake Rolex I asked'? 'The genuine fake will work', he replied! The religious scholar, Huston Smith, once engineered a meeting between the novelist, Aldous Huxley, and the spiritual writer, Alan Watts, both Englishman abroad in America. After Watts was gone, Huxley and Smith returned to their seats, where Smith reports he could virtually see Huxley sorting his mind. "Then his verdict: 'What a curious man! Half monk, half race track operator." When I (Smith) later reported this assessment to Alan, he loved it and acknowledged its accuracy." A Persian prince argues unhappily with Sir Giles Tumulty for the possession of a stone (set in a crown). Sir Giles has purchased it from the prince's relative in what he believes was good faith. He is damned if he is going to return it, after all the stone contains magical properties. With it, you can travel in space (and possibly time) and it cures the sick. The prince leaves disappointed, threatening consequences. 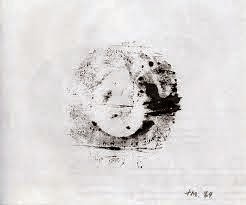 Thus opens an early novel by Charles Williams - 'Many Dimensions'. It has all his future ingredients - a sacred object capable of magic over which there is a struggle for control. Yet, at the heart of the object, is a divine reality that transcends and, finally, allows the virtuous actors to overcome (if only temporarily) any thought of control. This extended television drama was an accomplished thriller wrapped in the charged politics of the Middle East. The Stein children witness their father's, staunch Zionist and armorer of the new state of Israel, murder and grow up with a different vision of how Israel's fortunes can be secured - by building interconnections between Jew and Arab, particularly educational, as a contribution to a lasting peace. However, enmity and suspicion are deeply set, and though Nessa Stein (the honorable woman) imagines their course set fair and each of their steps is conducted with the requisite integrity, her brother's path is a compromised one. Though often acting out of the best of motives, he lays himself open to a corruption by a vortex of competing passions and paranoia. Out of which is woven the elements of thriller against an abiding backdrop of sorrow. 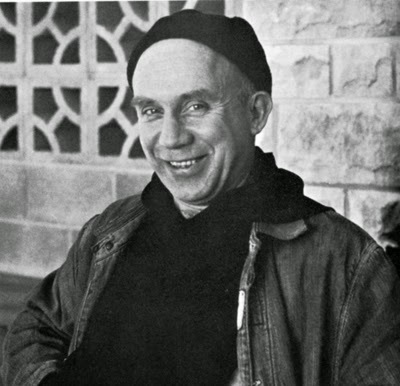 "At the center of our being is a point of nothingness which is untouched by sin and by illusion, a point of pure truth, a point or spark which belongs entirely to God, which is never at our disposal, from which God disposes of our lives, which is inaccessible to the fantasies of our mind or the brutalities of our own will. This little point of nothingness and of absolute poverty is the pure glory of God in us. It is so to speak His name written in us, as our poverty, as our indigence, as our dependence, as our sonship. It is like a pure diamond, blazing with the invisible light of heaven. It is in everybody, and if we could see it we would see these billion points of light coming together in the face and blaze of a sun that would make all the darkness and cruelty of life vanish completely... I have no program for this seeing. It is only given. But the gate of heaven is everywhere." When I was in Burkina Faso recently, during the long flights and the small gaps in work, I was reading, 'Distant Neighbours: The Selected Letters of Wendell Berry and Gary Snyder' and realising that (for me) reading such collections only work if you are deeply familiar with the life and work of the authors. Then the intimate snapshots of an unfolding life (or lives) adds a deepening colour to your understanding of them, and more than a touch of humanising grace. There are only three books I have read, more than once, where I can remember the exact circumstances of my first reading. On all three occasions, it is because I read them, with gathering excitement, at one sitting. In the first case - Andre Gide's slim novella, 'Straight is the Gate' this is not a surprising achievement, for the other two - Morris Berman's lengthy study of cultural exegesis, 'Coming to Our Senses' and Thomas Merton's thick autobiography, 'The Seven Storey Mountain', it was a case of enthusiasm conferring endurance. The rather charming, village like capital of Burkina Faso, Ouagadougou, apparently is insufficiently modern. It needs a high rise, business district to attract 'foreign investment' so the government, according to the in flight magazine of air Burkina, has allocated a huge central plot to accommodate this thrusting modernity. It is most depressing to imagine that the best image of prosperity remains the displacing rationality of an anonymous architecture stripped of any reference to culture or place. This in-flight magazine was a wonderfully anachronistic product, wholly fashioned to the need to 'puff' Burkina, more than specifically reflect the airline (though it happily did tell us that it is the only sub-Sahara African airline to have every recognised international safety standard)! More up beat was the news that Burkina was getting its first major solar plant with the help of the European Union to meet growing energy needs more securely and cleanly. Leopold Kohr, friend of E.F. Schumacher, wrote an insightful book in the 1960's setting out a vision for the benefit of small, compact, homogeneous nations. His Chapter 11 (if I recall correctly) responded to the likelihood of his vision coming to pass with a singe word: No! With the news that the Yes campaign in Scotland finds itself in the lead (though within the bounds of statistical error) and the natives of Catalonia restless, one wonders what Kohr would have made of this if he were still alive. Reading a few excerpts of the relentless commentary, one thing is certain, not only does no one know the outcome, no one knows the outcome of the outcome. However, whatever the result on the 18th is, nothing ought to be the same again. Fresh out of university, I went to Taize, the ecumencial community in France, drenched in romantic notions of religious life on which I was to embark...immediately! This was a remarkably unformulated notion that evaporated in the first conversation with one of the brothers. However, in my second week there, having followed the standard programme in the first week, I went to the retreat house to spend a week in reflective silence and discovered my true home. This was not, I realised, in the church, beautiful as its ecumenical liturgy is (expressed in the chant above) but in the forest that lay on the other side of the valley and in which everyday I went for long walks. 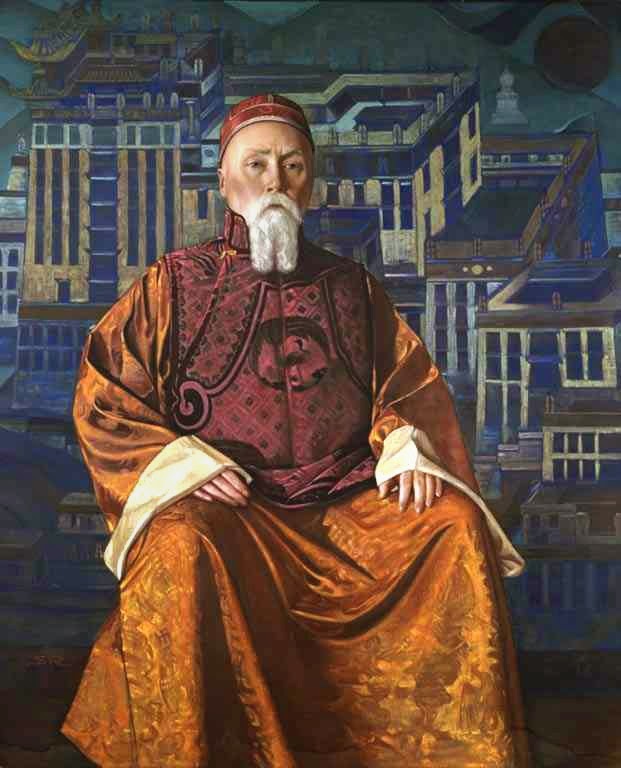 Nicholas Roerich is oft depicted as a spiritual seeker, peace visionary, author of numberless paintings, and a brave explorer of Central Asia. However, Andrei Znamenski in his 'Red Shambala: Magic, Prophecy, and Geopolitics in the Heart of Asia' has him perform another role - that of geopolitical schemer. The scheming did have at its heart a religious vision - of a coalition of Buddhist races in Central Asia that would establish a budding utopia - the Shambala of the title - from which the truths of Buddhism (and co-operative labour) would flow around the globe. This would require the usurpation of the 13th Dalai Lama to be replaced by the Panchen Lama guided by the heroic saviour (Roerich) who appears above dressed for the part.